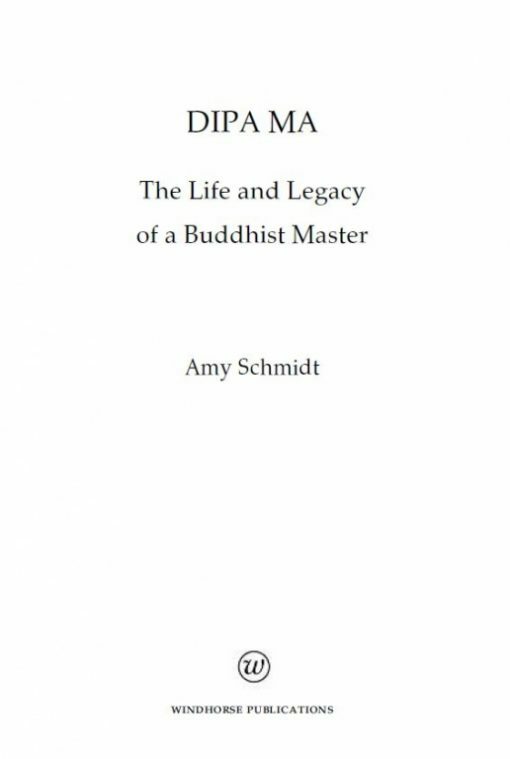 Amy Schmidt details the life story and spiritual teachings of Dipa Ma, a major figure in contemporary Buddhism. 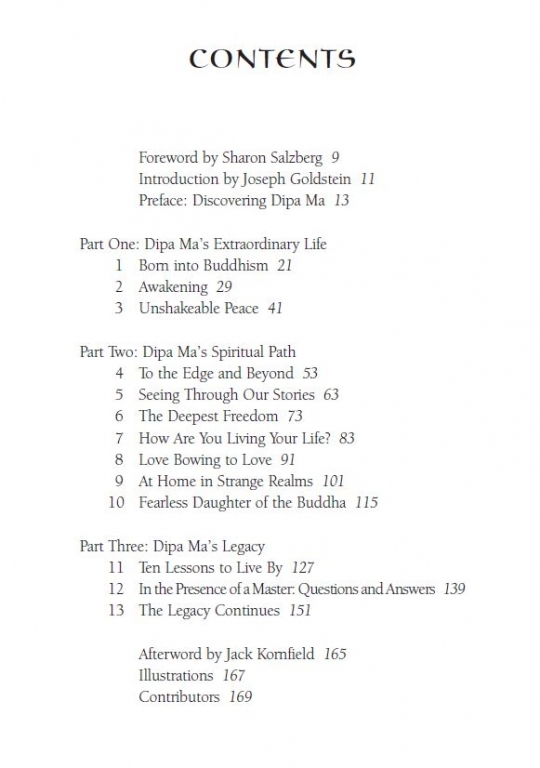 Read the life story and spiritual teachings of Dipa Ma, a major figure in contemporary Buddhism. She was the teacher of such well-respected western Buddhists as Jack Kornfield, Sharon Salzberg, Joseph Goldstein, Alice Walker and Sylvia Boorstein, among others. An accomplished yogi, she was an inspired teacher and a devoted mother and grandmother. A woman who found great freedom through profound levels of insight and one who exemplified in her every action immense kindness, generosity, and mindfulness. 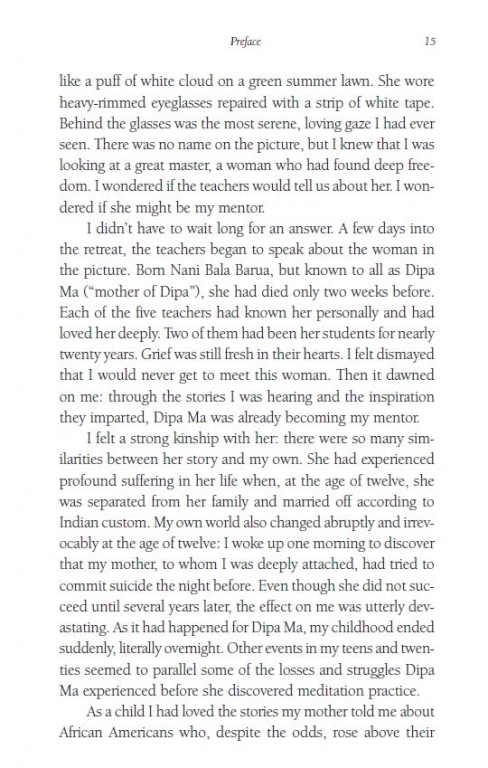 Through this unique account of a remarkable woman, together with the reminiscences of her students, many more aspiring practitioners will be inspired by her life and legacy. This book includes a Foreword by Sharon Salzberg, and Introduction by Joseph Goldstein and an Afterword by Jack Kornfield. For this remarkable woman, an Indian ‘householder’ with a daughter and young grandson, daily life included all of the mundane tasks we might be tempted to use as excuses for avoiding practice: doing the dishes, washing the laundry, changing diapers (all of which, she assured her students, were perfectly workable contexts for sharpening awareness and increasing one’s patience). 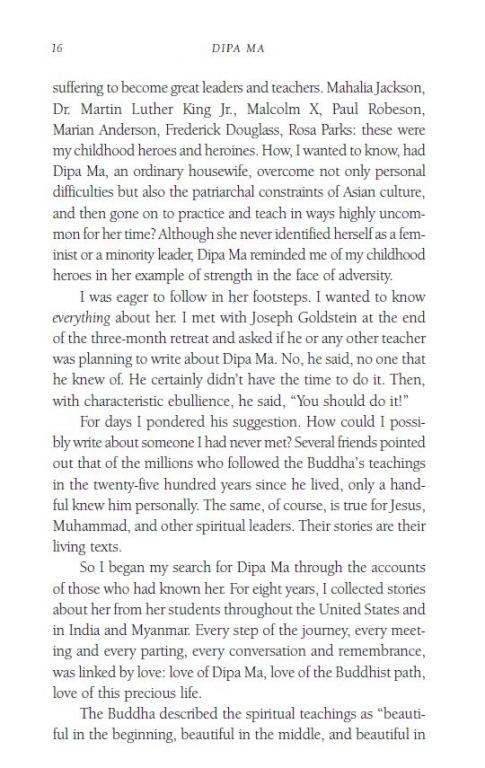 In short, Dipa Ma made it very clear, through her own example, that living a ‘worldly’ life need not impinge upon one’s ‘spiritual’ path, and in fact demonstrated the absence of any such distinction in reality. 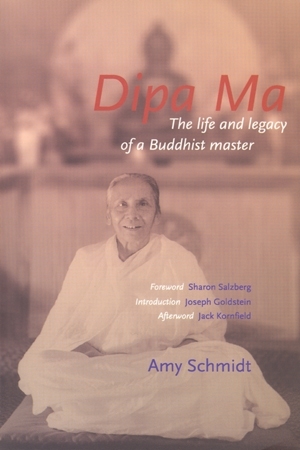 This book consists of the first-hand accounts of many of Dipa Ma’s students and family members, collected by Schmidt over the course of the 8 years following Ma’s death in 1989. Amongst her students are Insight Meditation Society founders Sharon Salzberg, Joseph Goldstein and Jack Kornfield. 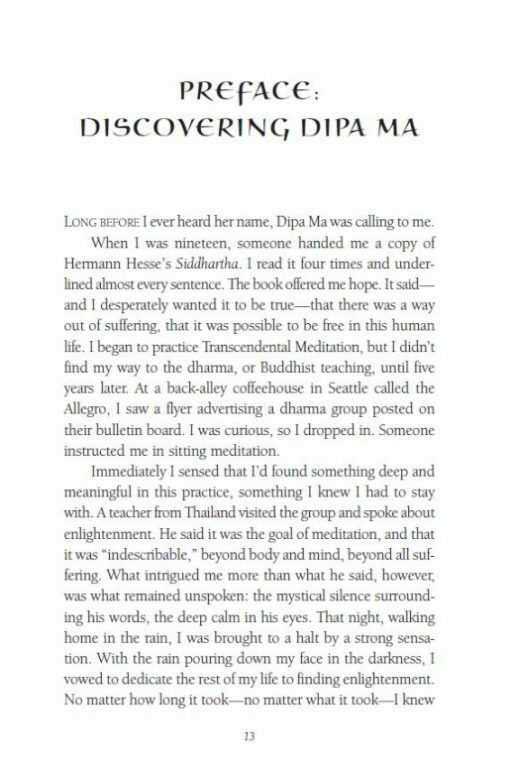 As well-known teacher Sylvia Boorstein says,”Reading these reflections of Dipa Ma rouses the faith that being in her presence always did; a mind at peace and a heart of complete lovingness is a human possibility.” These collected memories shine through with the love that pours forth from a heart released from its own conditioning and fear. As Salzberg states, simply and to the point, “Dipa Ma was the most loving person I ever met.” May this excellent book be a reminder to all of us (busy householders and career holders included!) that such a heart beats (potentially) in all of our chests.